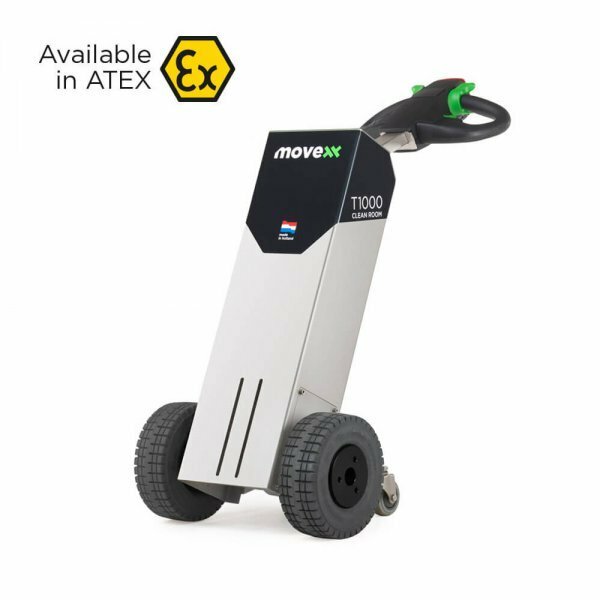 A Movexx T1000-platform is a standing variant of the Movexx T1000, and ideal to use for longer distances. 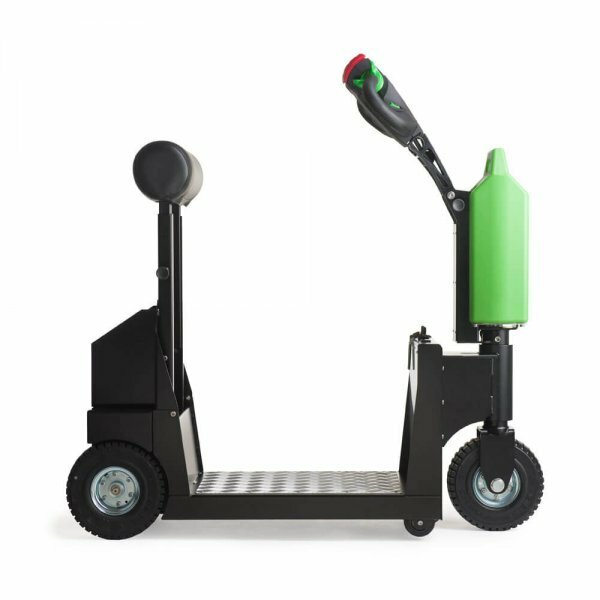 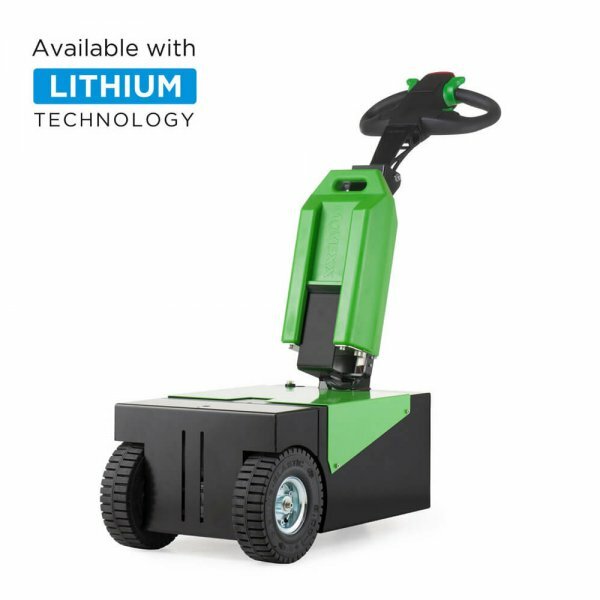 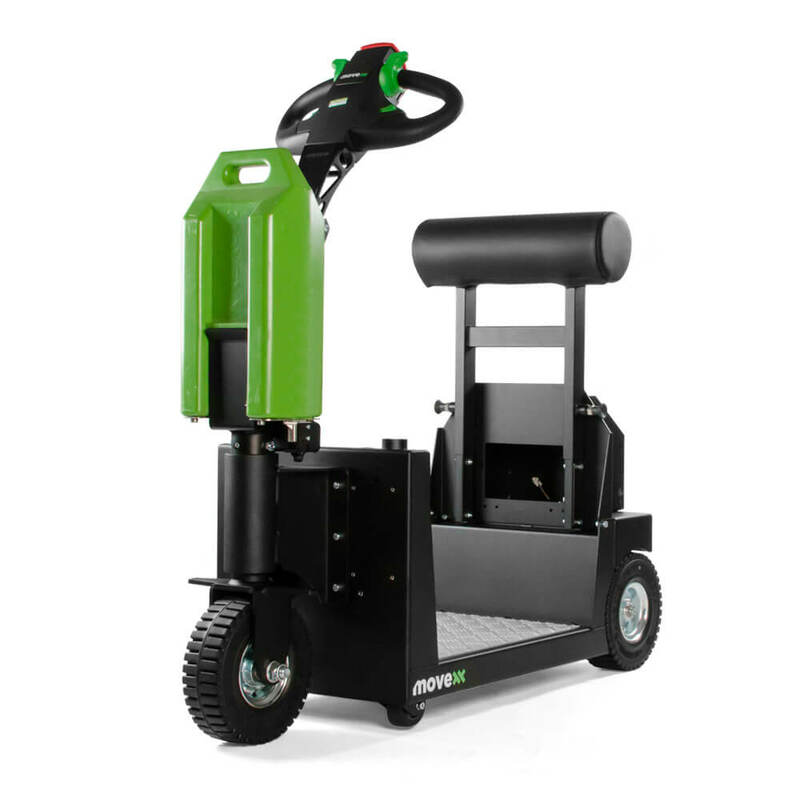 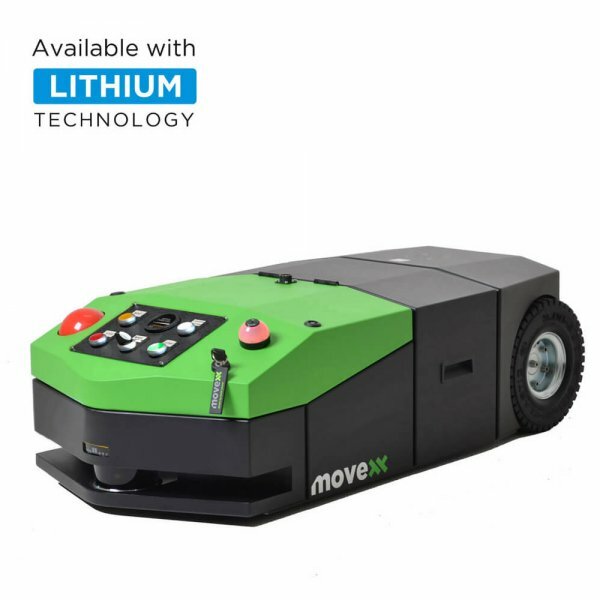 This electric tug can easily move trolleys, industrial carts, or roll containers on wheels, without you having to perform any physical exercise. 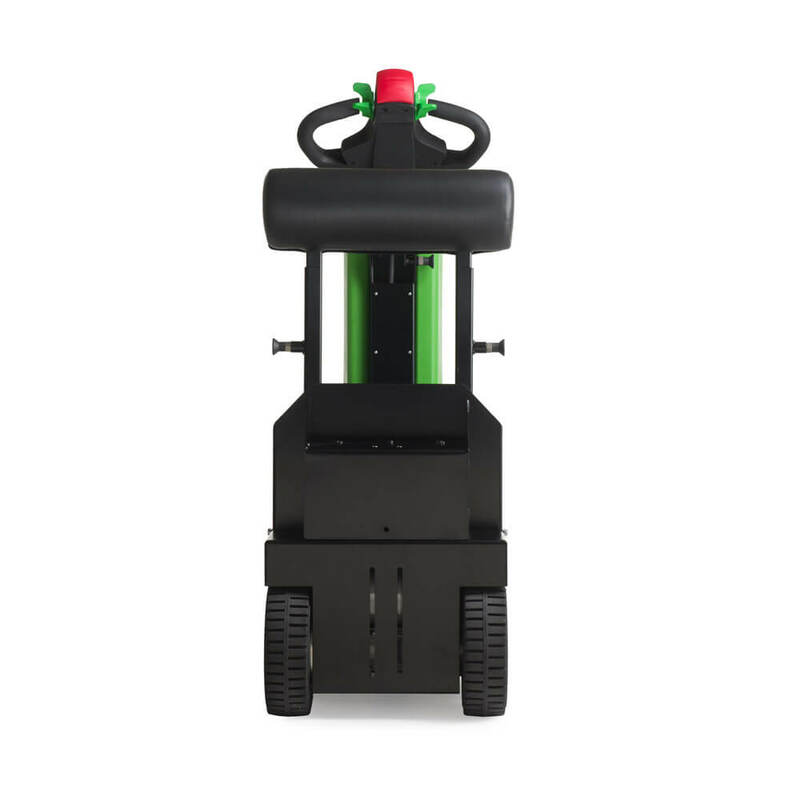 The Movexx T1000-platform has an exchangeable battery system. 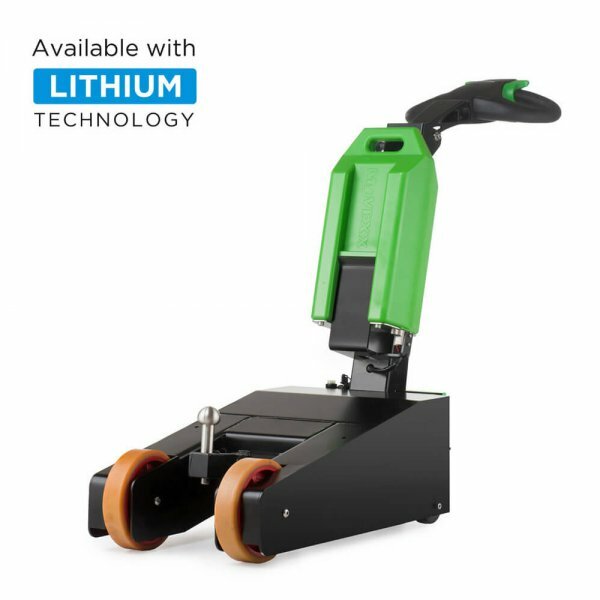 An empty battery can be easily changed by moving the battery from the holder and inserting a charged battery. 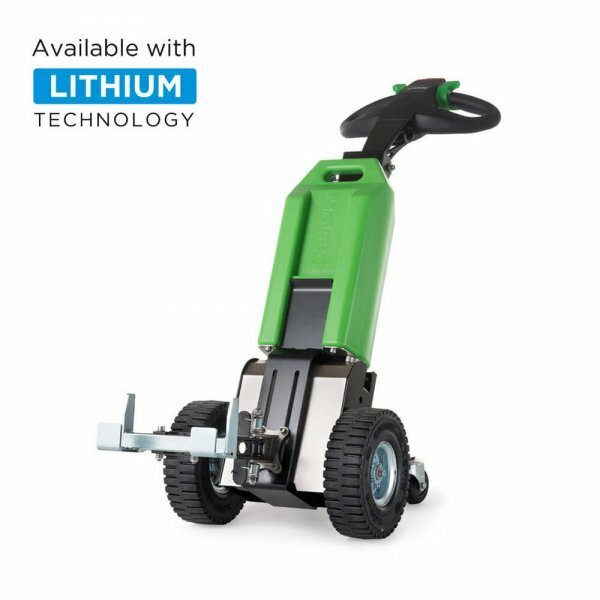 The electric tug has two adjustable speeds (fast and slow), an adjustable pole, an adjustable back support, a claxon, and anti-tip wheels. 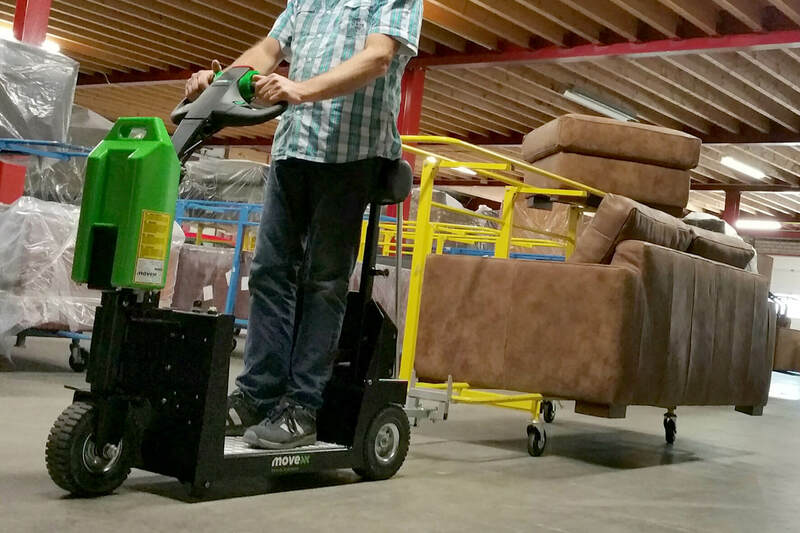 Furthermore, you are standing on a checker plate for maximum grip. 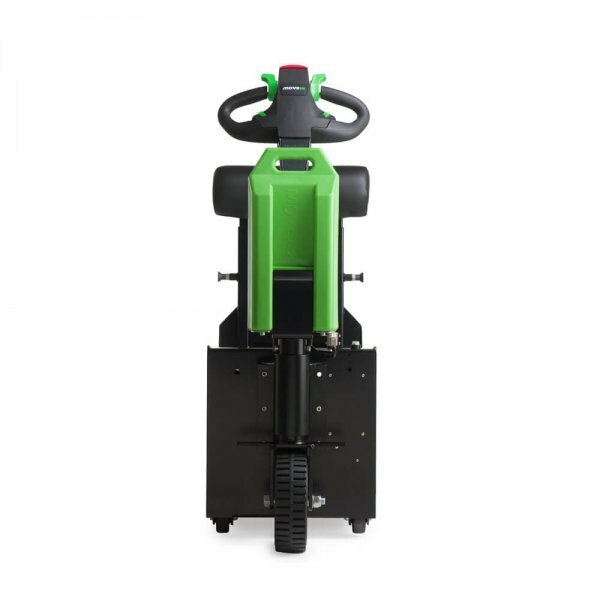 Because of the useful coupling mechanism, almost every load on wheels can be pulled. 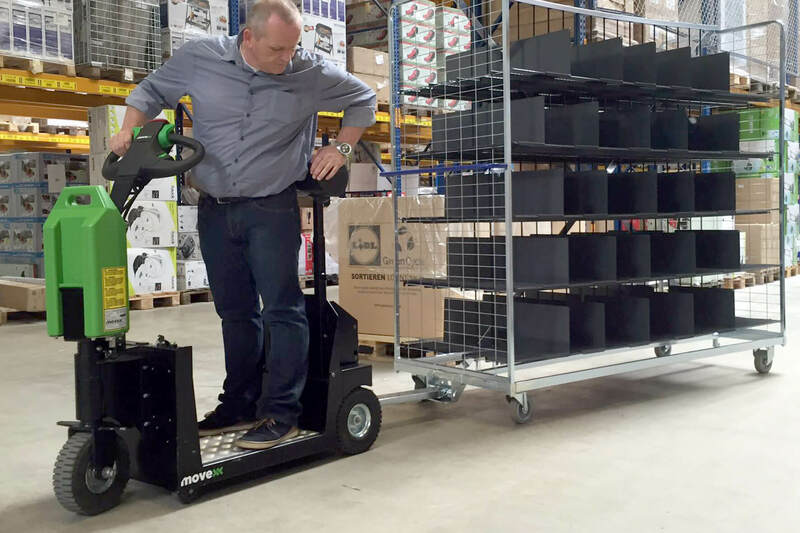 The T1000-Platform is mostly used in the logistical distribution in combination with Milk run systems. 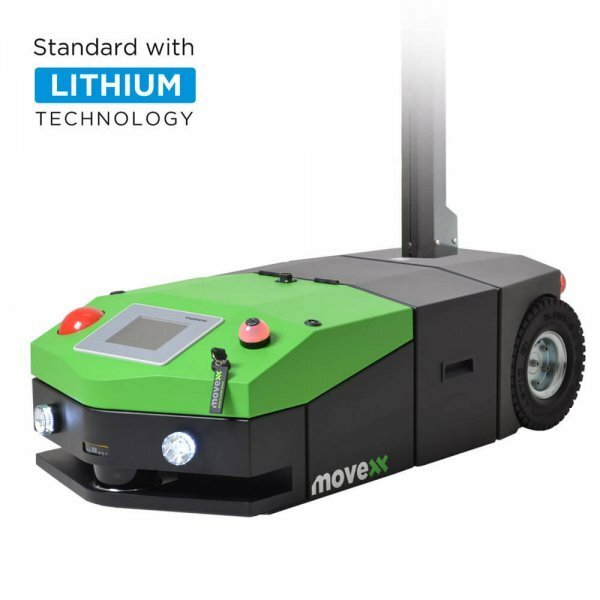 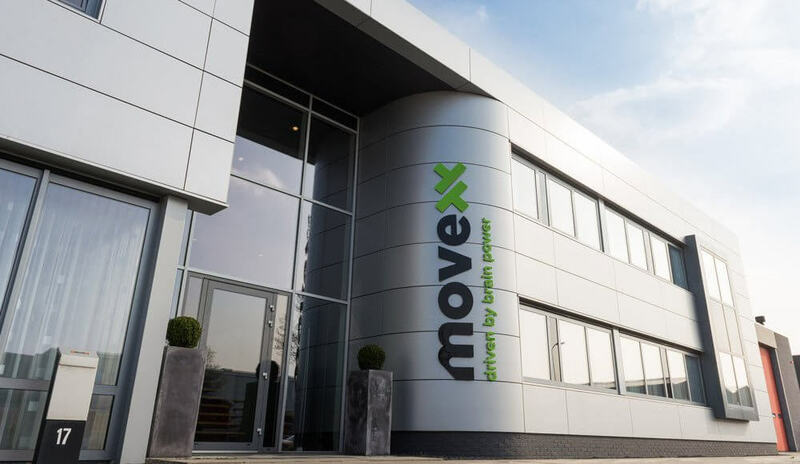 When you have to move heavier loads than 1000 kg, we advise using the Movexx T2500-Platform. 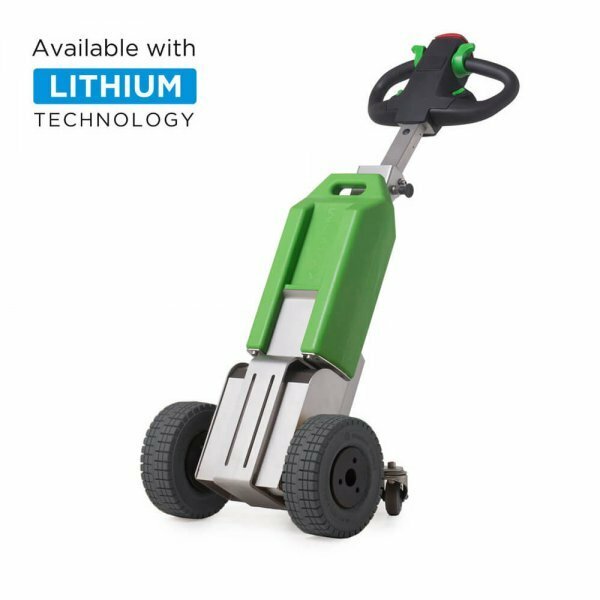 The standard supplied Lithium battery enables the T1000-Platform to be productive at length. 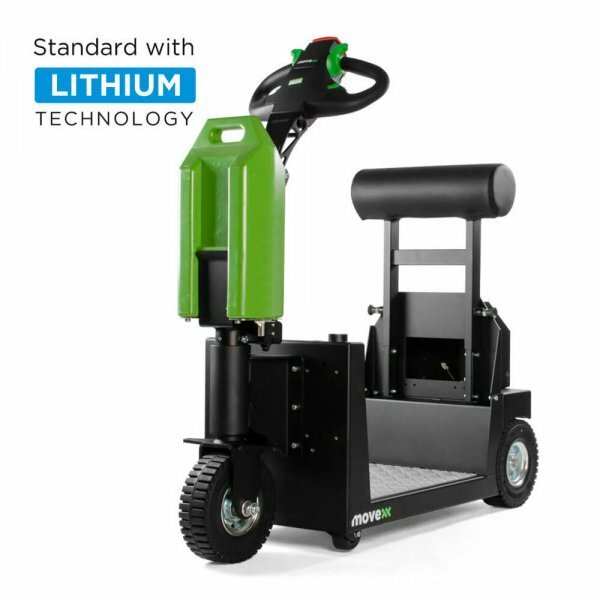 The battery can be charged in between, and lasts twice as long as an AGM battery and has a Battery Management System, which protects the battery against complete discharging and overcharging. The T1000-Platform is capable of moving carts and trolleys up to 1000 kg with ease. Because of a quick-change battery system for Lithium batteries, the battery can be exchanged simply and quickly, with minimal downtime for your T1000-Platform for maximum productivity. 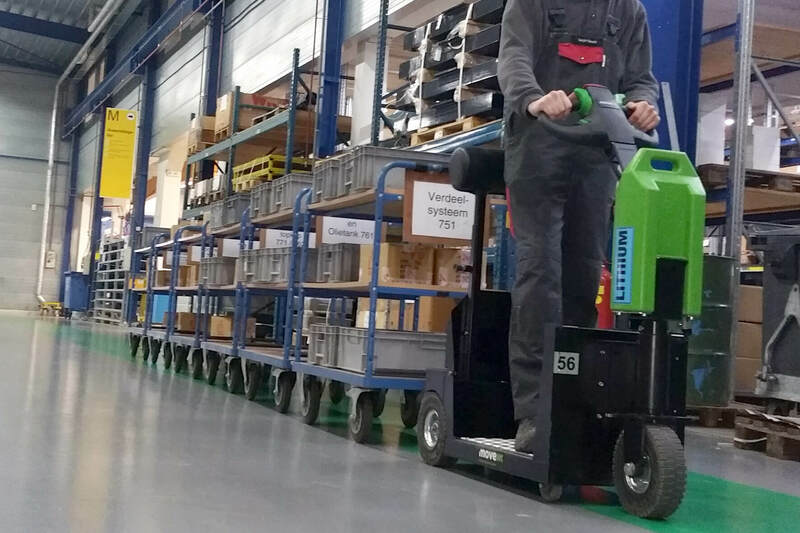 Here you can see photos of the T1000-Platform in action, and for which applications the electric tug can be used.